This ebook edition includes bonus material about the making of the books, sketches by Dav Pilkey, deleted scenes, and more! George Beard and Harold Hutchins are two amazing kids. Not only did they create Captain Underpants, but they've saved the world five times! 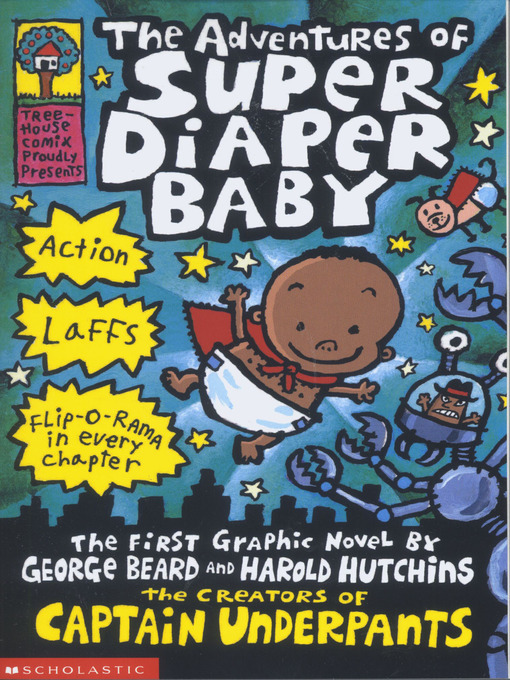 Now George and Harold bring you an all new superhero who's faster than a speeding stroller, more powerful than diaper rash, and able to leap tall buildings without making poopy stinkers. Meet Super Diaper Baby - the most powerful peewee to ever pack a punch. George and Harold's brand new superhero is sure to make kids laugh until drink comes out of their noses!